Last month I was at Walt Disney World for my thirtieth birthday and made sure to pick up the customary button that announces to the world that it was my birthday. While the free desserts were great, and the Star Tours experience I had will likely never be matched, I felt that many of the happy birthdays were half-hearted. 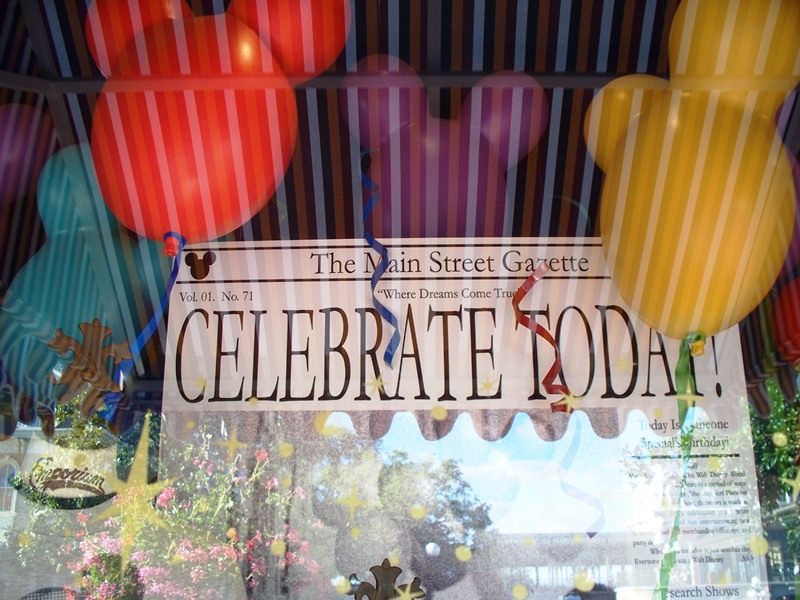 I don’t blame the lackluster celebrations on the Cast Members, can you imagine how many birthday, anniversary, just married and other celebratory buttons they must see in a single day? 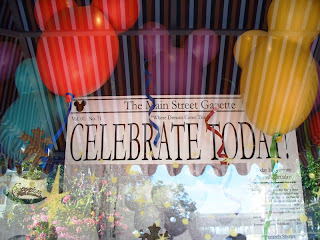 It is hard to stay continually engaged and full of that confetti type of feeling all day, every day. It got me to thinking, there must be something more that can be done to further enhance the celebrations. A couple of years back guests were given free entry into a park on their birthday, if you already had an annual pass you could substitute a gift card for the park entry, but let’s not kid ourselves, that could end up being a pricey proposition, and not one Disney is likely to repeat any time soon. I suspect a free dessert with a meal is about as much merchandise as Walt Disney World is willing to give out for celebrations, and rightly so. I don’t expect to be walking through the Emporium and receive a free Mickey Mouse plush or be perusing the racks at Villains in Vogue and be handed a complimentary Vinylmation, not that I’d say ‘no’ to either. So, what if there was a way to increase parameter of the celebration without exponentially raising the cost Walt Disney World incurs? I think they answer has already appeared, it just hasn’t been utilized yet. A lot of work has taken place in developing an adventure game for the Magic Kingdom that utilizes RFID technology to activate game portals throughout the Magic Kingdom. Testing of this tool in conjunction with park entry has also been taking place over at Epcot. These are two very different applications for the same tech right? So, what is RFID? RFID is an acronym for Radio Frequency Identification. Basically, it allows for data to be stored on a thin chip that can be recognized when it is within a given proximity to a scanner, but without lasers and barcodes or the physical swiping necessary with a magnetic strip. This short list is just the beginning, there are many other trivial ways the RFID buttons could brighten a birthday without a ton of long-term cost. Stories that come alive to engage and integrate guests have become a top priority over the past several years in and around Walt Disney World and the other worldwide destinations, why not have our personal stories interact with the world around us in the parks. Can you imagine the stories guests would take home with them? I'd take it one step further with actually programming every single RFID activated birthday button with information like the recipient guest's first name and perhaps their new age so that Audio Animatronics or any RFID receiving points around the park could address you by name making the interaction that much more personalized and magical. With speech and text recognition software coming to the forefront in today's mobile market (with Apple's Siri and soon Google's Majel) this technology is not only readily available but it also holds a multitude of different uses and applications within the Theme Park environment. I even remember when USH's E.T. Adventure used to actually address you by NAME, and this was back in 1991! Now the USH staff did have to issue individual cards and collect everyone's names beforehand but doing this with only a limited amount of special guests a day like ones with birthdays would not only be feasible but wouldn't require actually that much large scale infrastructure modification or costly implementation. Imagine what the current Imagineers could do with today's technology if it was used like that! What a GREAT idea!! I love this.